Summer fun brings images of pool parties, vacations, and smokin’ hot grilled food! This is the Summer Grilling Spectacular, a series from the GrillFather to keep your barbecue going all summer long. Next up is Fajita Chicken Kebabs, inspired by the sizzling platters found in restaurants, these kebabs bring the flavor of fajitas to a poolside favorite finger food. Infused with spices and lime, the chicken and vegetables are succulent and addicting. Begin by slicing the boneless chicken breasts into uniform bite-sized cubes. A quick marinade of canola oil, fresh-squeezed limejuice, lime zest, cumin, chili powder, garlic, jalapeño, and salt is all that’s needed to prepare the chicken for the grill. 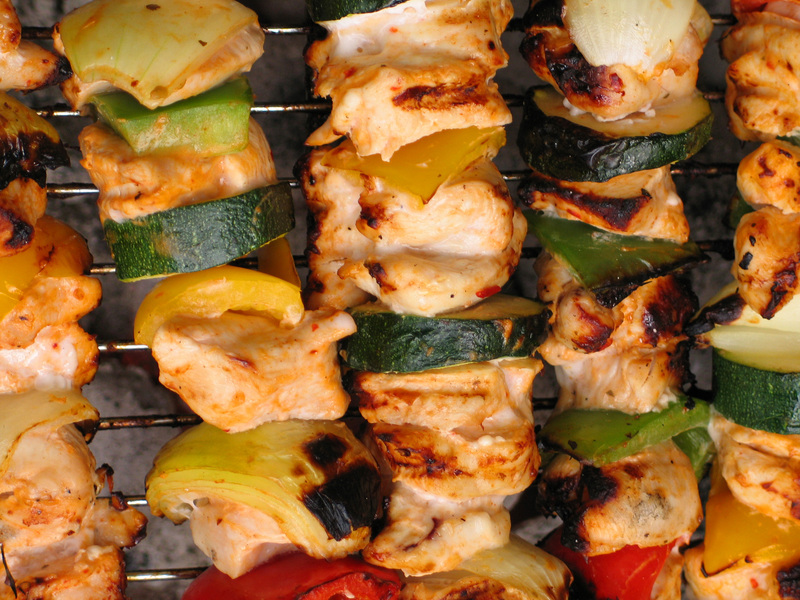 If using wooden skewers, be sure to presoak them for 20 minutes before grilling so they hold up on the grill. Cut the bell peppers and onion into uniform bite-sized pieces as well, and begin threading them and the chicken onto the skewers. Grill over medium-high heat for 6-8 minutes turning once or twice. Serve with fresh cilantro and guacamole for an amazing backyard treat that your friends and family will love. So fire up the grill, this is the Summer Grilling Spectacular!